Marking the first appearances by Tiana and Rapunzel in a show on the castle stage, “Mickey’s Royal Friendship Faire” brings to life beloved Disney stories both classic and contemporary in a spectacular performance featuring an original song, memorable music, lively dancing and special effects magic. 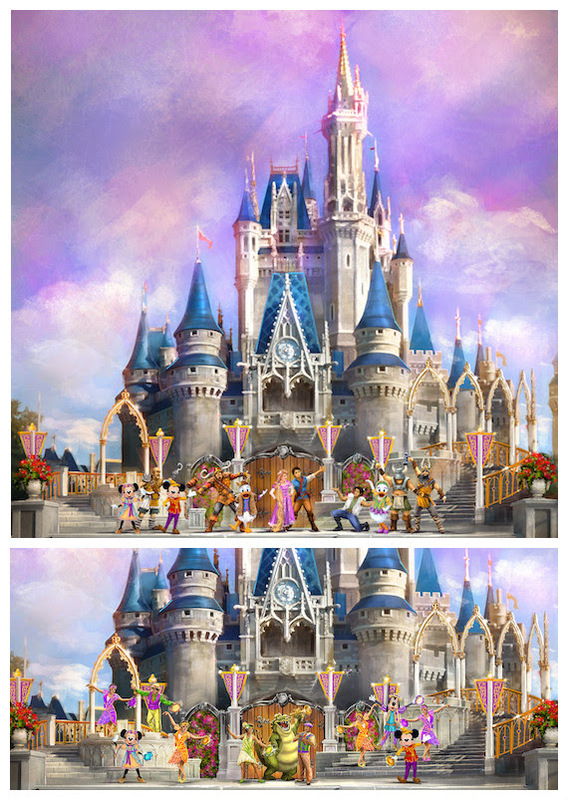 “Mickey’s Royal Friendship Faire” will make its Walt Disney World Castle Show debut in summer 2016! Want to see it live? Call 407-434-9397 to book a magical Walt Disney World Vacation today! Request a no-obligation quote online or learn more about Walt Disney World Resort! This entry was posted on February 16, 2016 at 2:50 pm and is filed under Attractions, Disney News, Disney Vacation Planning, Magic Kingdom, Walt Disney World. You can follow any responses to this entry through the RSS 2.0 feed. You can leave a response or trackback from your own site.